Catch the "Silver King" on a Tampa Bay Tarpon fishing charter with Capt. Jim Lemke! Catch Snook, trout, redfish and much more on a Tampa Bay Flats Fishing Charter with Capt. Jim Lemke! Cool off, swim around and catch a great dinner all at the same time! Experience the incredible shallow water fly fishing Tampa Bay has to offer! Light Tackle Adventures offers many types of fishing charters in Tampa that are sure to meet your needs for an epic day on the water! The fishing Charters offered by Light Tackle Adventures are second to none. This is mainly due to the experience of Captain Jim Lemke. As a Tampa fishing guide for more than 20 years, Captain Jim has the inshore area mapped out with the greatest spots to fish. This experience and knowledge means that no matter what time of year you are looking for your fishing charter in Tampa - Captain Jim will put you on the fish. Browse our many offerings below. BOOK YOUR TAMPA CHARTER NOW! 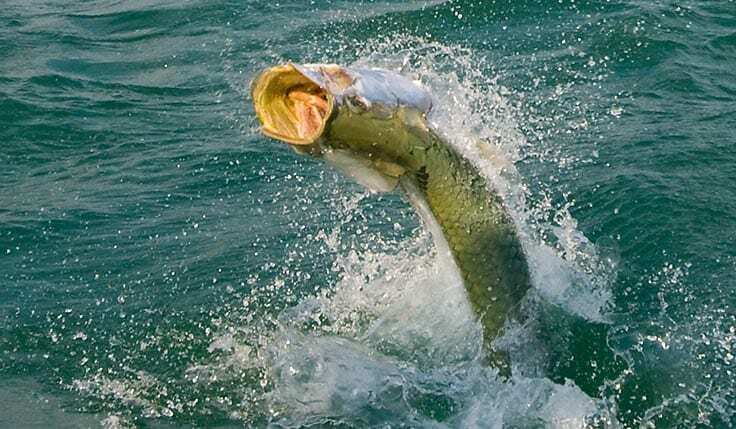 Whether you want to catch a giant tarpon, make that perfect cast with a fly, catch Florida's most saught after shallow water fish, or swim around and cool off during scallop season... there's no better time than right now to book your next adventure with Capt. Jim Lemke! Our Tampa fishing charters offer a unique look into the Florida fishery as a whole and into the ecology that makes up the world famous Florida estuaries and inshore flats. The inshore areas and backcountry of Tampa Bay are just as much part of the Everglades ecosystem as it's freshwater counterpart. It is truly all part of the inshore system that is truly why Florida is "The Fishing Capital of the World." During your day of fishing with Light Tackle Adventures, you can expect more than just exceptional fishing. You will find the experience to be a once in a lifetime one. 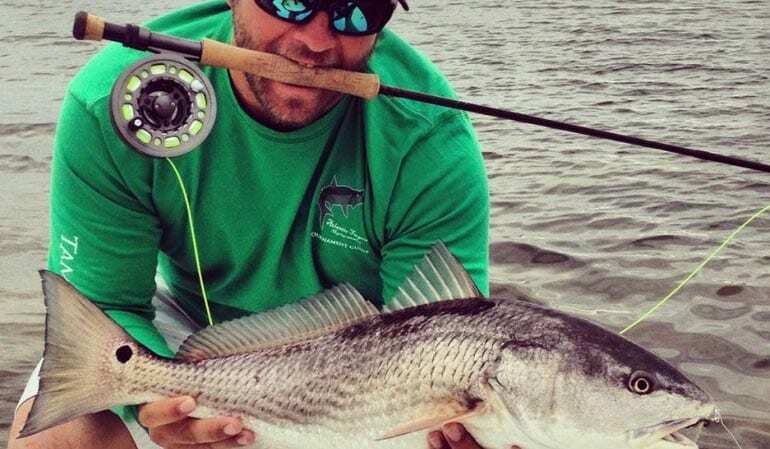 The draw for most career Florida anglers is just as much about the connection to the area as much as it is about the fishing. You will find that connection during your day as well. The fishing itself is as diverse as it is exciting. You can find yourself sight fishing tailing Red's one moment, pulling Gator Trout out of the grass in another moment, and then hooking up with a Snook out of the mangroves the next. 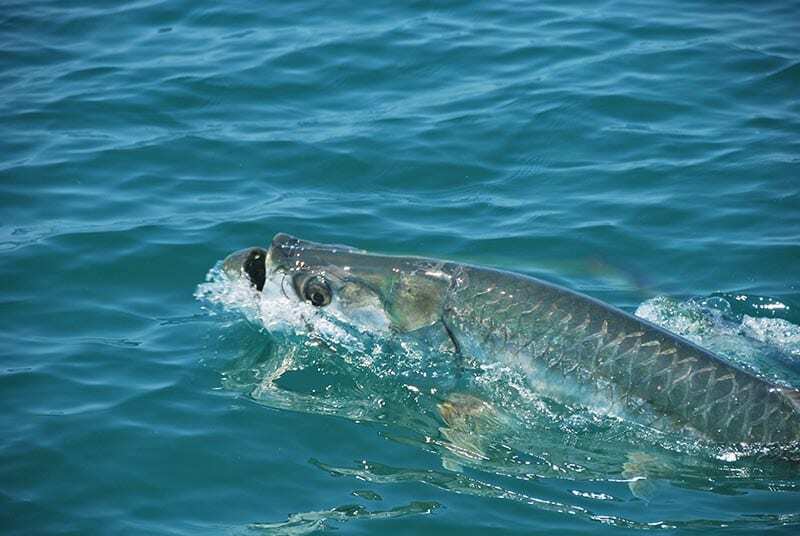 Add to this the exciting Tarpon season that rolls through this area, Tampa Tarpon Fishing Charters, and you will simply not find a more exciting fishery. What better way to cool of in the heat of the Florida Summer than to get right on into the water? And, while you’re at it, you can gather up dinner right off the shallow sea floor! Check out one of our recent fishing charter videos. 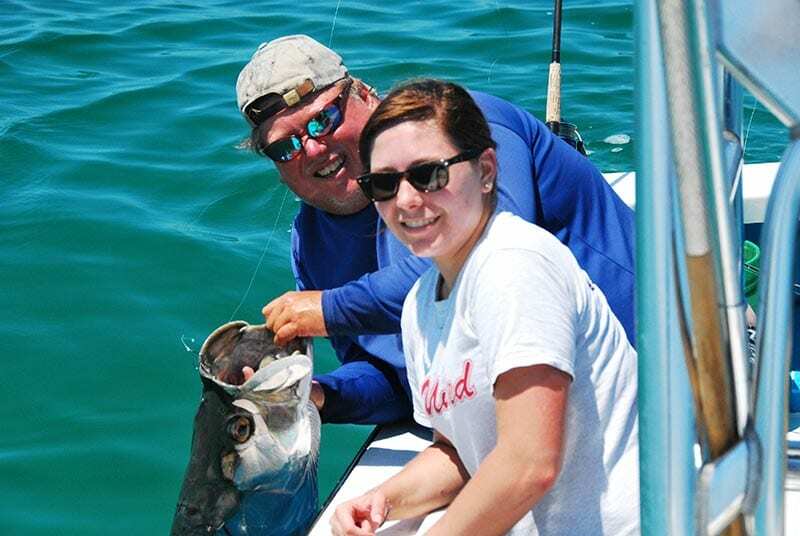 Our Tampa guided fishing trips capture moments in fishing that no client can forget. Join us on some of our adventures by taking a look at our fishing videos. Why not create your own Tampa Bay memories and reserve a charter today! 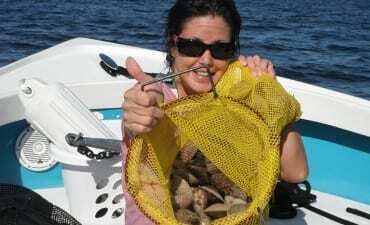 Why choose Tampa for my fishing trip? So what separates Tampa fishing from the rest of the state? The answer is simple. There is more diversity in fishing combined with year around action that you simply cannot find anywhere else. The guides are more experienced and their love for the area is unmatched. You should bring with you a good pair of UV sunglasses, a hat, weather relevant clothing, sunscreen, drinks, and snacks. We provide everything else, and yes - that includes the license and all tackle. You can learn more in our Charter FAQ section. Whether novice or pro, Captain Jim can cater the trip to best meet your needs. He offers tips & tricks and an exceptional sight fishing experience on the platform. He caters to both light tackle and fly fisherman. And also offers support for both live/frozen bait and artificial lures - The choices are all yours. Light tackle fishing is done by utilizing light line and light action rods. We offer heavier tackle trips for nearshore and Tarpon charters, but light tackle fishing is a sight fisherman's favorite. Sight fishing is using your eyes to scan the water for "the push" or activity of game fish in shallow water. When the guide is poling the boat, you both scan the flats for activity to present to. Our inshore charters on light tackle and on the fly are done on the Maverick. This boat can float in mere inches of water. We pole the boat with the motor up as it is literally too shallow to power the boat into. 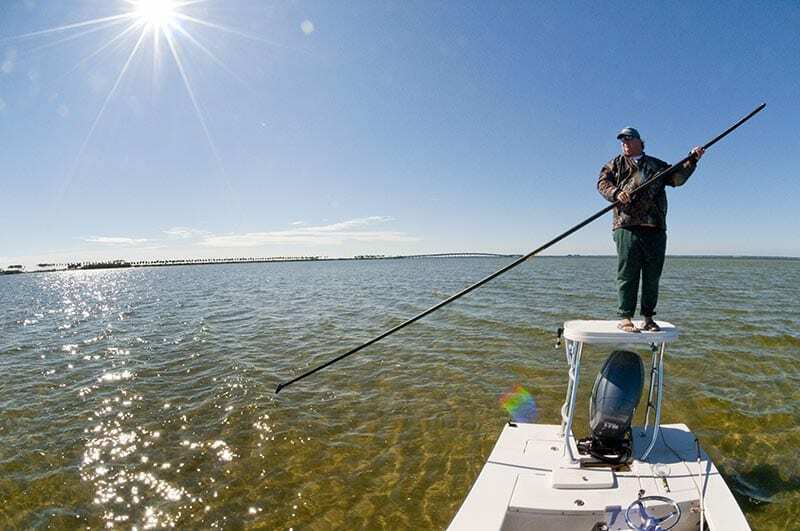 Poling is the ultimate way to spot and stalk fish on the flats. Tampa and Tampa Bay are home to many activities that include the arts, sports, and even spring training. However, there is no better way to get a feel for this great city than by the water. We offer some of the most exciting and fulfilling charters in the area. It s by no mistake that Tripadvisor has listed more fishing charters in Tampa in their top 10 attractions than any other singular activity. We are proud to offer you the access to some of the best fishing in the area with Captain Jim Lemke. Jim Lemke's Light Tackle Adventures offers the best in the area. Whether a visitor or resident, there is no better way to explore this fishery than right here with us. Our fishing charters tap into the wealth of gamefish in the area in their various habitats. Captain Jim can gently pole you into some really skinny waters for the ultimate in Florida flats fishing. He can also set up a drift over the grass flats, get you on Tarpon, or take you out to structure for some epic deeper water Permit. We truly cover all of your fishing opportunities right here at Light Tackle Adventures.